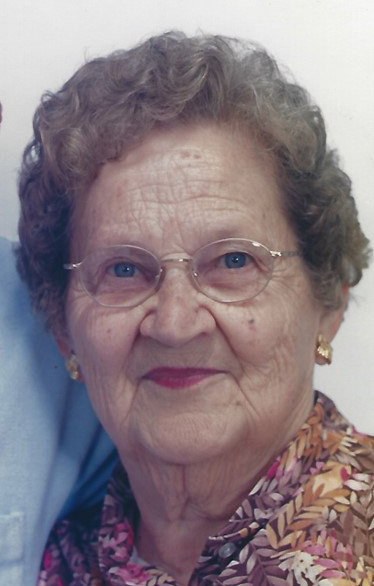 Obituary for Pearl Sundvall | Esterdahl Mortuary and Crematory, Ltd.
Pearl L. Sundvall, 98, of Moline, passed away Saturday, December 2, 2018, at Bickford Cottage, Moline. Funeral services will be held at 1 p.m., Thursday, December 6, 2018, at Esterdahl Mortuary & Crematory, Ltd., Moline. Visitation will be one hour prior to services at the funeral home. Burial will be at Riverside Cemetery. Memorials may be made to St. Jude Children’s’ Research Hospital. Pearl was born on August 16, 1920, in Moline, the daughter of Frank and Inez Peterson. She married Alvin Sundvall on October 30, 1938, at the Little Brown Church in the Vale in Nashua, IA. He preceded her in death June 1, 2005. Pearl farmed with her husband in Orion for 29 years and later worked at the Bowling Alley and Hardware Store in Orion. She was an active member of St. Paul Lutheran Church in Orion and helped as a Sunday school teacher. She was a loving and involved grandparent to her grandchildren and great grandchildren. After retiring from farming Pearl and her husband moved to Hot Springs Village in Arkansas for a 10-year vacation, returning to Illinois in 1985. Survivors include her children, Jerry (Toni) Sundvall, Silvis, Linda Mayers, Moline, and Janice Brendenburg, Maquoketa, IA; 7 grandchildren, 14 great grandchildren, and 5 great-great grandchildren. She was preceded in death by her parents, husband, son, Jimmy, 2 grandchildren, 2 sisters, and 2 brothers.